No matter what life throws at you it's still possible to remain an active member of 2PS. From relocating to family commitments, life can be full of surprises. However, maintaining an active 2PS account and continuing to engage with the community is easy to do - and will prove advantageous in the future. If you don’t have the time to fully immerse yourself in the network, remedy the situation by using our referral system. Receive sharing points and referrals from members down the track when you’re in search of your next big project opportunity. Remain active in the network. The referral system is also useful to keep your other clients happy for the duration of your long-term contract. You possess the right to post a project opportunity and select which 2PS consultant you will introduce to your client. In short 2PS lets, you maintain control from start to finish. If you see an aspect of the project that doesn't quite fall within your skills OR you don't have time for referring another network member referrals are again an easy solution. Clients requesting your services can be kept happy until you're in a place where you can accept more projects. 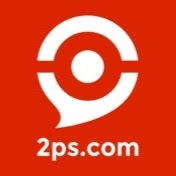 2PS is an international company. Therefore if you're abroad it's still possible to involve yourself in the community, whilst giving yourself the exciting opportunity to get in contact with members outside your area. If you're passing through an area where there's a 2PS Ambassador then this is a good chance to meet them. It's also possible to attend M33tups and 2PShows just like you would in your normal area. Check 2PS events to see what's going on in the area you're visiting. If you're traveling to isolated locations search for local experts in the area and organize to meet in person. You can also keep an eye out for experienced consultants who could be interested in the network and invite new members, continuing to earn points. Being able to spend time with family and achieve that elusive work-life balance is why many consultants choose to go independent. If the family is taking up a large amount of your time ensure your ambassador knows the reason why. You can still continue to contribute to the 2PS network remotely. Do this by writing articles in your field, co-writing articles with fellow network members and commenting on others work. Investing a small amount of time into remaining present in the network will help you earn points and make valuable contributions. 2PS is a network, not a platform. Behind each profile is a professional willing to work with you, listen to your story and interested in your area of expertise. The best way to involve yourself in the network is to get out from behind your laptop and go to our events. However, if life or your location, is getting in the way of your physical presence, don't stop participating in 2PS. Contact your ambassador or a network member and explain your situation. We will find a solution to keep your profile as active as possible within the network.